Peter Prowse is the Professor of Human Resource Management and Employment Relations. He holds a BA (Hons) Industrial Relations and Law from the University of Kent, an MSc Industrial Relations and Personnel Management from London School of Economics and a Ph.D. from Leeds University. He has significant business experience in both human resource management (HRM) and employment relations having worked for the Advisory Conciliation and Arbitration Service (ACAS), and roles in Training and Development and a Recruitment Specialist. He is a Fellow of Chartered Institute of Personnel and Development (CIPD) and a Fellow of the Higher Education Academy. His interests are human resource management, global employment relations, global negotiation and management, the living wage and public sector management. He has published widely and his articles have appeared in Work, Employment and Society, Industrial Relations Journal, International Journal of Human Resource Management, Journal of Business Research, Personnel Review, International Journal of Public Sector Management, International Journal of Performance and Productivity and Managing Business Excellence. 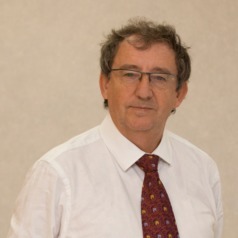 His Current Research includes research on Development of the Living Wage, Work Life Balance for Midwives in Healthcare, Negotiation skills in International Business and Leadership and Mentorship of senior women leaders in trade unions.